When Corporal Rick Franklin finds out the murderous truth behind the Silk Revolution, will he risk everything for what he knows to be right, or hide behind a lie? 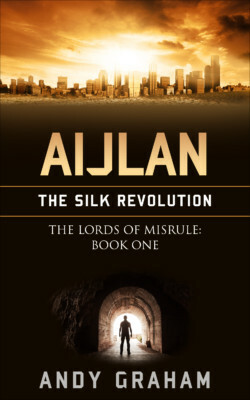 Set in an alternate world based on life in the 21st Century EU and US, Aijlan – The Silk Revolution is Book One of The Lords of Misrule series. Part political thriller, part dystopian fiction, part tragic love story, it is a dark, morally ambiguous novel from British author Andy Graham. The book has been described as ‘dystopian with a heart’ by one reviewer on Amazon UK, and has a five-star, ‘highly recommended’ write-up from a Hall of Fame, Top 100 reviewer on Amazon US. Will Rick Franklin walk the easy path? Download now to find out.